Steve McQueen stayed there. Freddie Mercury gave an impromptu performance in the bar. Shirley MacLaine flirted with an employee. And Muhammad Ali prepared for a fight there. Welcome to an iconic landmark that has always played a central role in Zurich life. Welcome to the Atlantis by Giardino, which has reopened following an extensive renovation programme. Styled as an urban retreat, the 95-room hotel will provide a unique and indulgent alternative to the city’s current hotel offering. 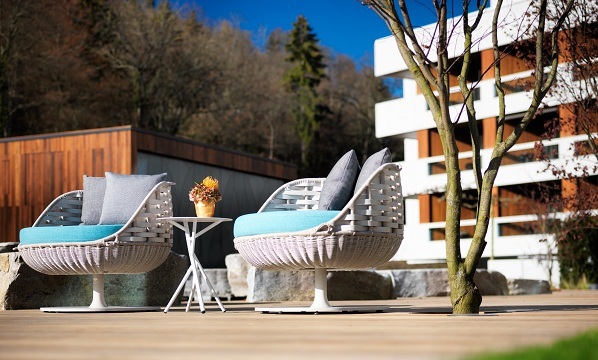 Situated in the western part of Zurich, Atlantis by Giardino is just a15-minute drive from the city’s famous Bahnhofstrasse and within a stone’s throw of the countryside, thanks to its location on the edge of a forest at the foot of the Üetliberg mountains. In many ways, the hotel is a reflection of the city: an urban heart close to the rhythmic pulse of nature. The state-of-the-art infrastructure, meeting rooms and the proximity of Zurich’s city buzz will appeal to the business traveller, while the location close to the countryside is sure to attract those looking to escape the stresses of a hard-working day, as well as those travelling purely for leisure. A Y-shaped building with three wings, the hotel is set in its own extensive grounds and will have a 25-metre heated outdoor pool, as well as an indoor pool and generously proportioned spa, alongside two restaurants and two bars, and flexible meeting space for meetings and events. 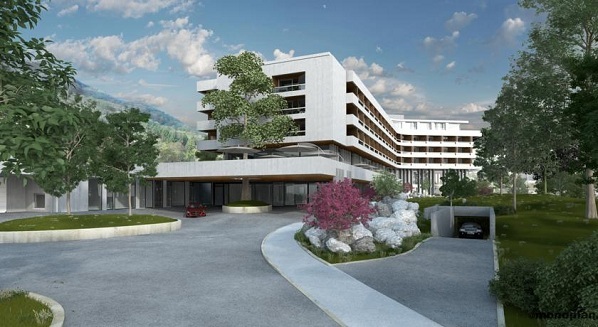 The dipiù Spa, with panoramic views over Zurich, will take an holistic approach offering both Ayurvedic and modern treatments, a wide range of sporting activities and an individual service tailored to guests’ personal needs. Recovery and indulgence are key words in the 1500 square metre spa, which includes sauna and steam rooms (with quiet zones), relaxation areas, a Pilates and yoga studio, a gym, and four spacious treatment rooms (where therapists will use Aveda products as well as Giardino Group’s own spa range called dipiù) and one luxury spa suite with private Jacuzzi and steam room. Chef Rolf Fliegeauf, one of Switzerland’s most decorated chefs who has already been awarded two Michelin stars at two of the Atlantis’ sister properties, will bring his outstanding cuisine, which combines craftsmanship and sophisticated individuality, to the city creating Ecco Zurich. The less formal Hide & Seek restaurant will serve up European, Middle Eastern and Asian favourites to appeal to a wide international market. Three flexible meeting spaces will easily accommodate as few as eight for a board meeting and as many as 200 for a cocktail event. Stylish interiors employing handmade furnishings and the finest fabrics play on the contradiction between city and countryside, while paying homage to the architecture of the building and its interesting past. Built between 1968 and 1970, Atlantis by Giardino is recognised as an important example of post-war Modernist architecture. From its construction till October 2004, it functioned as a hotel before closing and becoming a popular venue for Zurich’s artistic community. 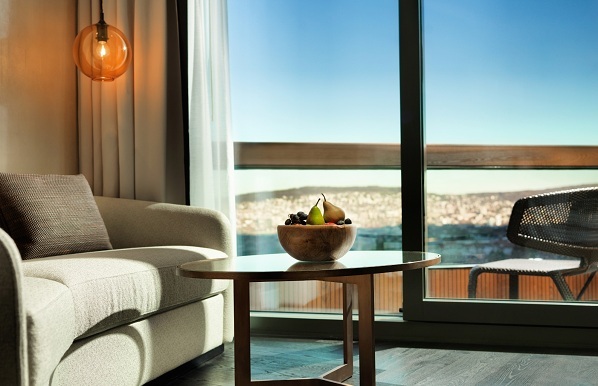 It was bought by the existing owners in 2012 and they appointed London-based HBA, the world’s leading hospitality design firm, to oversee its extensive refurbishment programme.